FAVORITE TRAVEL FRIENDS. 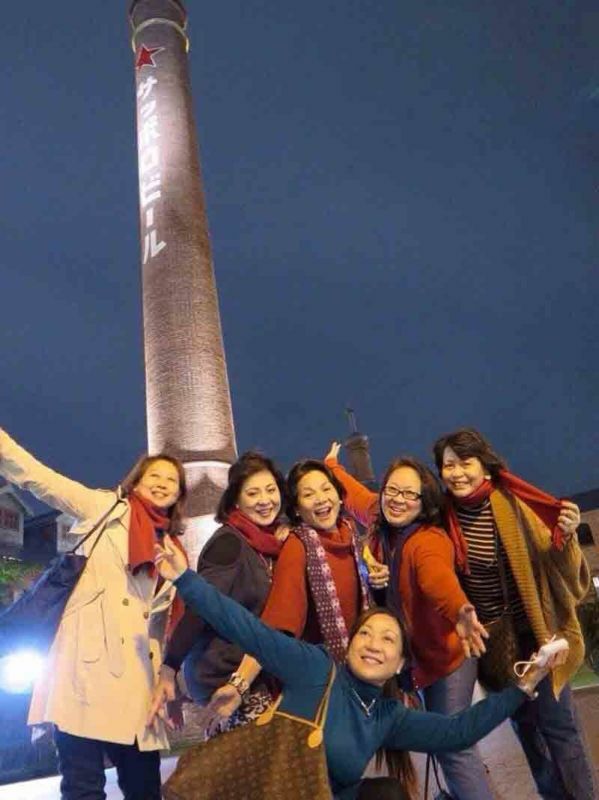 In Hokkaido, Japan (from left) Gwen Po, Aida Uy, Marget Villarica, Baby Dy and Nelia Neri. In the foreground is Ann Momongan. CTTA PRESIDENT Angelita “Baby” Dy. Right photo: Baby with husband Nelson Dy in Hainan, China. ANGELITA “Baby” Dy, the power behind Grand Hope Travel and Tours, is the current president of the Cebu Tours and Travel Association (CTTA). She has been with the Cebu travel industry for the past 20 years, and it is her second time to head this association of the city’s established travel agents. CTTA, founded in 1989, aims to maintain “the quality standards of travel agency operations... upholding the interests of its members in Cebu who form a vital part in Cebu’s tourism industry.” The members are engaged in both outbound and inbound tourism operations. With her track record in the travel industry, it is not surprising that Baby Dy would again be voted president. And like in her previous term, she made sure the association would do something worthwhile. So as chairperson of the group’s Cebu Travel Catalogue, she organized a travel auction during that event to raise funds to buy school supplies for the 1,200 school kids of the Dumanjug Elementary School. In her previous term, the recipients of school supplies were children in Olango island. Dy, a business administration graduate from St. Theresa’s College, had to learn the ropes in travel and tour marketing when she started out. 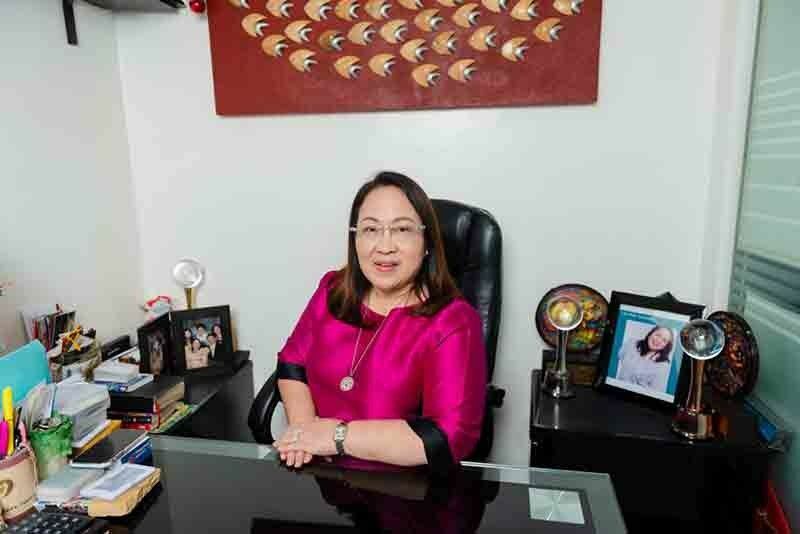 Learned well she did, as is evident from the four offices of Grand Hope Travel and Tours that she has set up—in SM City Cebu, in Ayala Center Cebu, at the Doña Luisa Bldg. along the Fuente Rotunda and in Bohol. The agency handles international and domestic tickets, tourist visa assistance, passporting and extension of visa and other related travel services. 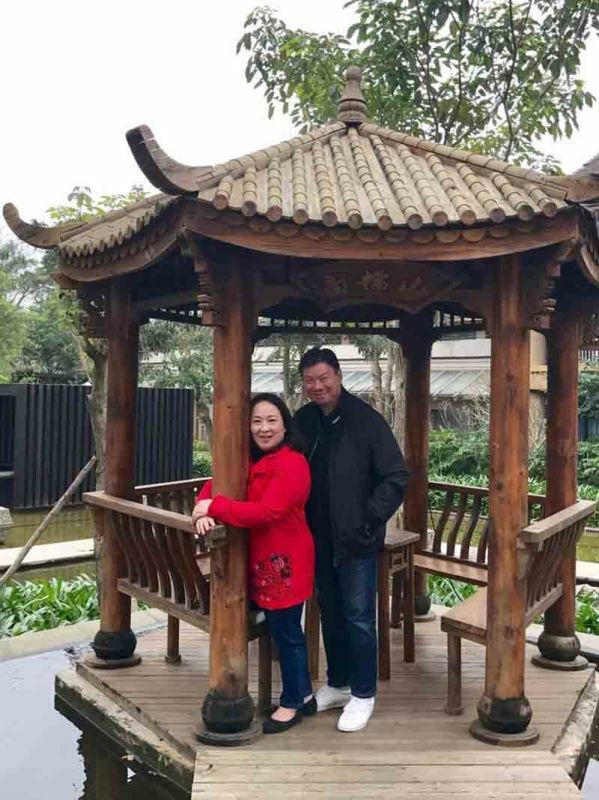 To be good in the industry, she has developed partner travel and tour agencies in other parts of the globe to handle the needs of her clients, like recommending hotels and contacting tourist guides and buses for her client’s needs. Whether she is handling a single tourist or a small or big group, she makes sure her touring clients will be taken care of abroad. If mishaps happen, like cancelled flights or missed flights, her office tries its best to remedy the situation. Dy delights in the travel perks of her business which come in the form of familiarization trips to local destinations as well as to tourist destinations in countries across the world. She enjoys seeing new places, experiencing different cultures, trying new food... There’s always, she says, a new place to visit, a new adventure people in the tourist trade come up with, like river cruising in Europe. Even if she has been to a place several times, she still finds pleasure in revisiting it if she goes with close friends. To ensure her business growth, Dy relies on honest personnel for accounting of the day’s work. Every day, she makes sure she knows the day’s income from ticket sales and other services her office offers. And every day, she pays for the services her office contracts for—air tickets, hotel rooms and such—so she does not owe anyone. With all the travels she has been to, does Dy have a favorite destination? She replies it has to be Hong Kong, the first foreign destination she went to and where her family goes to practically every year, mostly for the food. It’s a place they’re so familiar with, they can go around the city without a tourist guide, which is the best way to experience travel, to feel at home where one finds oneself in.